Not every type of radiator is able to withstand the harsh everyday life of centralized heating. As it turned out, only bimetal and cast iron do not burst from high pressure and are not eaten by corrosion for a couple of seasons. 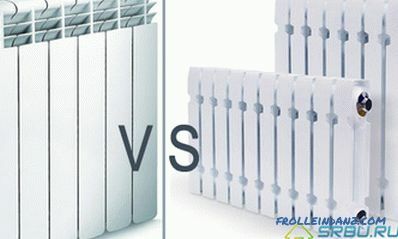 But still, which radiators are better - bimetallic or cast iron - consider and compare their technical characteristics. Let's start with cast iron radiators, which today have changed their design, but, as before They have wide water channels and are composed of several cast sections. Heat-resistant gaskets made of rubber or paronite, which are enclosed between the sections, give the desired tightness. The length of the finished radiator is determined by the number of sections, the height varies from 0.35 to 1.5 meters, and the depth can be 0.5 meters and several centimeters. In accordance with the volume of the room, you can select the desired size of the radiator, while it is possible to modify it (for example, remove the extra section or add some new ones). 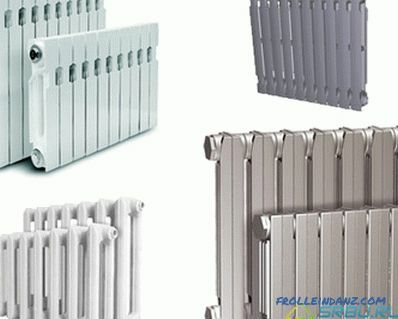 Types of cast iron radiators. It is worth mentioning the models of radiators cast from cast iron. 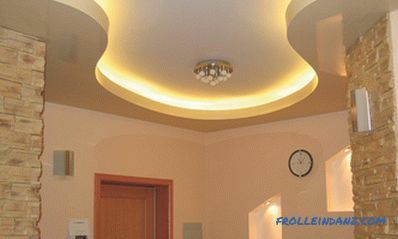 They not only perfectly warm the room, but also are able to give it charm and charm. Such radiators with skillfully executed on their surface injection molding patterns are produced mainly by foreign manufacturers. Like any object of art, such devices are worth a lot of money. Several types of cast-iron art radiators. The case of bimetallic radiators is aluminum, its shape is ribbed and figured. So it is designed for better heat transfer. Under the case lies a durable steel core - this refers to the "real" bimetal radiators. However, there are also polibimetallic (or pseudobimetallic) radiators - their difference is that only vertical radiator channels are reinforced with steel. The rest of it is made of aluminum. Such a device costs 20 percent less than a fully bimetallic one, and gives more heat. But it is less reliable and durable, and it is highly undesirable to use it in a centralized network. The device is a bimetallic radiator of heating. Like cast iron radiators, their bimetallic counterparts are usually sectional, which allows them to be modified. Usually sold models with an even number of sections. A small segment of the market is occupied by monolithic models, which are not subject to disassembly, assembly and improvement. The design of all bimetal radiators is very attractive. Cast iron. And we will begin again with traditional cast-iron radiators. They are so slow that sometimes you can freeze, waiting for the cold room to warm up. But after all, such radiators cool for a long time - and this is a completely different matter. After all, there are cases when heating once - and turn off. Due to an accident or repair, for example. And near the cast-iron battery you can warm up for quite a long time. The great advantage of cast iron products is that they heat the room not only by the convection method, but also by the radial method. That is, when they are turned on, except for air, objects that are close to the batteries become warm. As for thermal power, it is usually given for one section and ranges from 100 to 160 watts. These are average values ​​that vary by model. Bimetal. The good thing about these radiators is that they heat up just instantly. However, cool down just as quickly, alas. Heating in them is carried out mainly on the principle of convection - the radial component is much smaller. This is some minus. Thermal power of sectional models is comparable to cast iron products. This figure ranges from 150 to 180 watts (on average). If we compare the heating rate of the room, then they certainly win over the cast-iron ones. 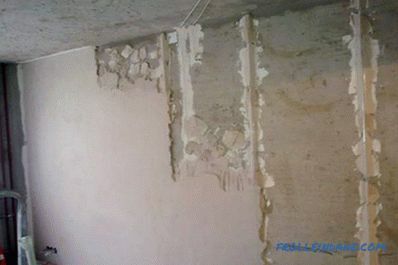 In the traditional central heating system typical of multi-storey buildings, the pressure is not at all stable. Sometimes even water hammering occurs. After all, the taps of the circulation pumps should be switched on smoothly according to the rules, but often the workers do not follow these rules. And with a sharp overlap of hot water its pressure throughout the system jumps so that many batteries burst. Therefore, residents of apartments should definitely choose radiators with a good pressure margin. Cast iron radiators can withstand 9-12 pressure atmospheres. This may be enough until a strong water hammer occurs. If it does happen, then the fragile cast iron, unfortunately, may burst.Therefore, if you look from this point of view that cast iron radiators or bimetallic radiators are better, then it is better to make sure of yourself and take a bimetal. After all, a bimetallic radiator is not afraid of any pressure surges - in its passport it has stated indicators for this parameter up to 20-50 atmospheres (depending on the model). So even the powerful water hammer of a quality product from bimetal is not capable of breaking. We also mention models with a monolithic steel core - they can easily withstand up to 100 atmospheres. 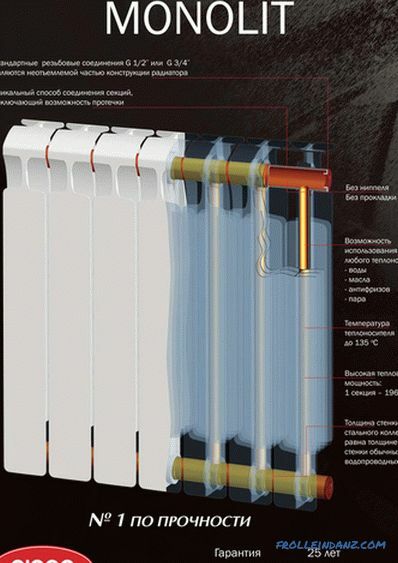 An example of such radiators can be radiators of the Russian production Rifar Monolit, its technical features you can see in the photo below. Another minus of central heating is the dubious quality of coolant. The hot water that goes from the pipes to the radiators is neither different from cleanliness nor chemical neutrality. 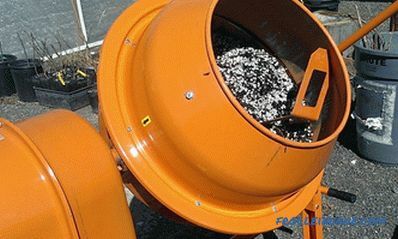 And there is a considerable amount of the smallest grains of sand and pebbles that can affect the internal walls of the battery, as an abrasive. Cast iron is chemically absolutely "calm", so a high level of alkalis or acids in hot water will not harm it. And in the summer, when there is a general discharge of water from the system, it will not rust. 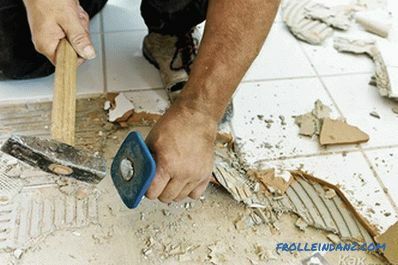 But she does not like small stones-abrasives - they gradually wear out. However, if the walls of the radiator are rather thick, it is not so critical. 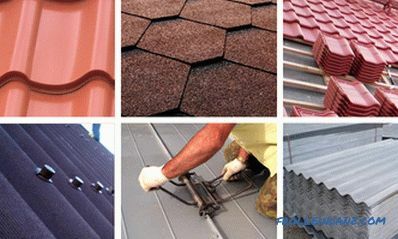 Bimetal during the heating season is also resistant to chemically active water. However, in summer, when water is drained from the system for repair and maintenance work, air appears in the radiators, and the steel core may be attacked by corrosion. So a little does not reach bimetal to cast iron for endurance. And the coolant temperature in our heating systems does not shine with stability. The pipes were barely warm, then hot, like fire. It is important to us how the radiators behave in the latter case, whether they will withstand too hot water. For this parameter, the following indicators. For a cast iron radiator, the heat carrier can heat up to 110 degrees. Hot water flowing through the bimetallic radiator core pipes can have a temperature of up to 130 degrees. But in general, both types of radiator tolerate temperature fluctuations. The only thing is that due to the difference in the extensions of steel and aluminum, with a sudden change in temperature, small crackles can be heard in the bimetallic radiator. Cast iron products with proper care and periodic washing live for a very, very long time - half a century or more. In some old houses there are even instances whose age has passed for a hundred years. Bimetallic radiator manufacturers release 15-20 years (sectional) and 25 years (monolithic). Cast iron in this regard, "taxis", as you can see. There is nothing to argue about here - naturally, there will be more problems with the cast iron when installing and carrying. And it’s impossible to lift such a battery alone, and brackets for it need special ones - especially strong, and the wall of plasterboard will not stand it. And one more thing: when acquiring cheap domestic radiators, one must be prepared for the additional need for painting and broaching. But working with bimetallic radiators can be said to be a pleasure. They are so light and neat that hanging them (and on any surface) is not difficult. And if in the first place you have the ease of installation, then the answer to the question, what is better - bimetallic radiators or cast iron, is unequivocal. Of course, bimetal. Cast iron is undoubtedly cheaper, especially domestic production. So, the cheapest section of the MC model, for example, costs only about 300 rubles. However, only the classic models will have such a “tasty” price. 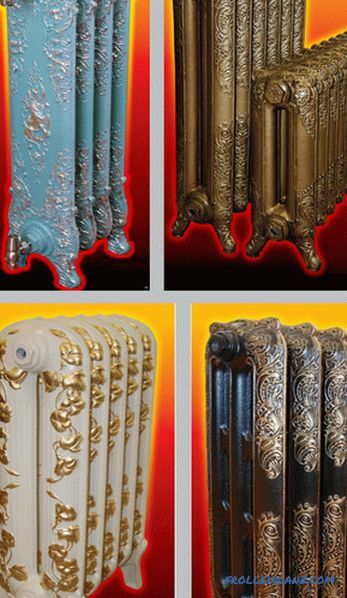 But radiators in the style of "retro", made by the method of artistic casting, are several times more expensive. Such models of the Konner brand cost from 2000 rubles (for one section). Sectional models of bimetallic radiators will be somewhat more expensive than similar cast-iron ones. 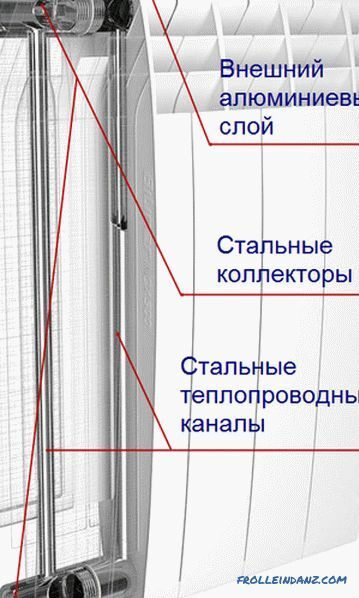 For example, one section of radiator from the company Rifar (Russia) will cost at least 500 rubles. The price of the section of the same Italian radiator starts from 600-700 rubles. homes up to five floors a good option would be cast iron radiators. The pressure supplied to the system, they can withstand. Naturally, if there are no powerful water hammer. But here you have a choice and if finances allow, then of course you can also put a more stylish bimetal. If the apartment is located in a high-rise building, then the working pressure of the heat carrier will be significantly higher. Therefore, in this case it is more reasonable to put bimetallic heating devices that have a greater pressure resource. Well, and one more thing. If you previously had cast-iron radiators in your apartment, you can change them for more modern cast-iron radiators and for bimetallic products. But after steel or aluminum, it is definitely better to put a bimetal. Having an autonomous heating system, you can install any of the radiators, but as a rule, in such systems it is most advisable to use steel or aluminum radiators.